Matthew Bourne’s Cinderella, currently playing at the Ahmanson Theater in Los Angeles, will leave you breathless. It can only be described as a fulfilling, visual spectacle. Even though it first debuted more than 20 years ago (1997), the ballet, which examines both tragedy and romance, still blooms. This is NOT your traditional Cinderella! Where does someone begin? Although the classic story is known worldwide, this is a retelling incarnation that is given a fresh coat of paint. When the show opens, Cinderella is in a drab, gray house, with drab gray people. The only person who seems to sincerely care for her is her father (Alan Vincent) who she regularly takes care of because he’s in a wheelchair. Sybil, her evil stepmother (Madelaine Brennan), tries her best to turn Cinderella’s stepsiblings against her. This time there are two stepsisters (Anjali Mehra and Sophia Hurdley) and three stepbrothers, who are more than a notion. There is a fetish brother (Dan Wright) who loves feet, a gay brother (Jackson Fisch) and a baby brother (Stephen Murray). Cinderella spends most of her day catering to her stepmom and stepsiblings. This time around Cinderella (Ashley Shaw) is set during the London Blitz in 1940, making it a wartime romance. Although it seems an unlikely scenario, surprisingly, it works! There is no Fairy Godmother, but rather a male angel (Liam Mower) dressed in a silver suit. The same person who plays Cinderella’s angel is the same person who, during wartime, plays the Angel of Death. There isn’t a prince, but rather a Royal Air Force (RAF) pilot. When everyone in her home but her is invited to a dance, Cinderella’s angel provides her with a ticket. When she arrives at the ball and descends down the stairs, she truly is the bell of the ball. She meets her prince charming named Harry (Andrew Monaghan) quite by accident at the dance. The two are immediately smitten and end up spending the evening together. Then all hell breaks loose. When a bomb is set off during their date, Cinderella is put on a stretcher and taken to the hospital. Harry is left to look for her in the streets, hoping he’ll find that special someone who fits that very famous glittery shoe. Eventually, Harry and Cinderella find each other again and all is right with the world – or is it? The evil stepmother who would like the RAF for herself tries to intervene but, of course, love prevails. It’s just as well that no words are spoken in this beautiful ballet because none are needed. This show speaks for itself. The dance ensembles are eye-popping and the cast is seamless. Cinderella, directed and choreographed by Matthew Bourne, with music by Prokofiev, stars Ashley Shaw, Andrew Monaghan, Liam Mower, Madelaine Brennan, Alan Vincent, Sophia Hurdley, Anjali Mehra, Jackson Fisch, Dan Wright, Stephen Murray, Reece Causton, Danny Reubens, Cordelia Braithwaite, Kate Lyons, Matt Petty, Paris Fitzpatrick, Alan Vincent, Seren Williams, Stephanie Billers, Joao Carolino and Stephanie Billers. 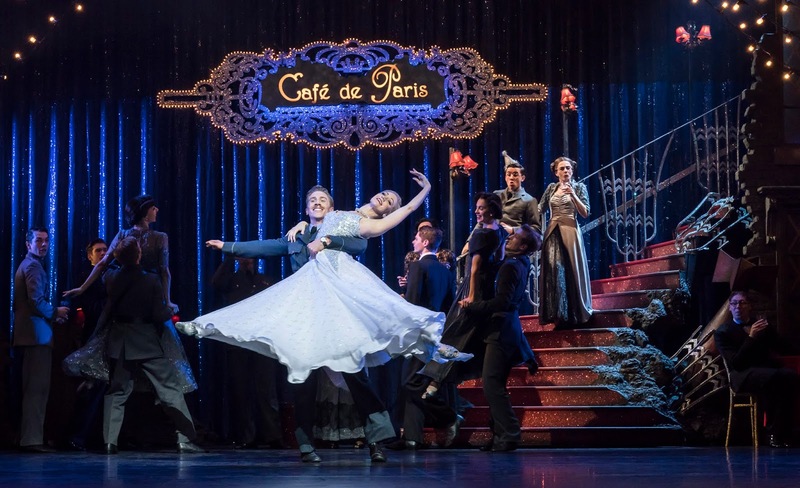 On the DONLOE SCALE: D (don’t bother), O (oh, no), N (needs work), L (likable), O (oh, yeah) and E (excellent) Matthew Bourne’s Cinderella gets an E (excellent). Run Time: 2 hours, 30 minutes with two 15-minute intermissions. Matthew Bourne’s Cinderella, Ahmanson Theatre at the Music Center, 135 N. Grand Avenue, Los Angeles, 8 p.m. Tues-Fri, 2 and 8 p.m. Sat., 1 and 6:30 p.m. Sun., no public performance on Wed., Feb. 13; added 2 p.m. performance on Thur., March 7, no 6:30 p.m. performance on Sun., March 10; through March 10, no performance on Mondays; $30-$175; www.CenterTheatreGroup.org, 213 972-4400.
Who Is The Superstar on Los Angeles Billboards?